NOTE: these models are presented in comic format with comic captions in italics and notes on construction in these symbols: ( ), Also, please do NOT move this to the comic forum! 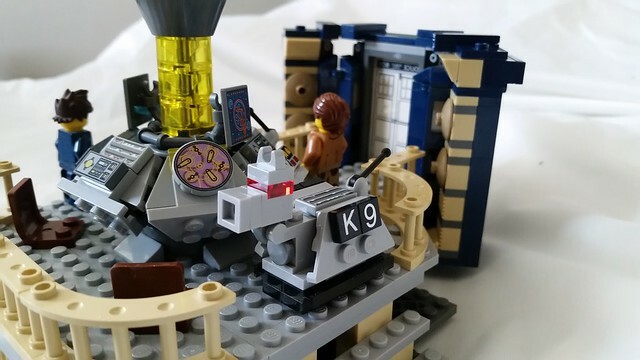 After a long day outrunning Daleks and their creator, Davros, and loosing his TARDIS in the snowy drifts of some ice covered planet, the 11th Doctor finally finds the TARDIS and tries to open the door. "That's funny, I don't remember locking it" he says. He finds the door key in his coat pocket and unlocks the door. (The inside is new: I changed the light gray, and silver with trans-blue to tan, and dark gray, with dark tan. "Who goes there?" says a familiar voice that seems like a page out of his (relatively) recent past. 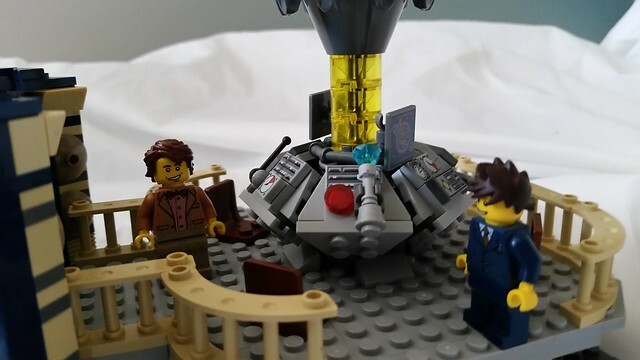 Suddenly, it occurs to the 11th Doctor that he has accidentally stepped into his predecessors life, also known as 10th Doctor and his TARDIS! He then responds "just an timey-wimey friend from a you yet to come." "oh, is that all?" says Doctor number 10. "I detected Daleks in the area, and assumed they would be attacking any minute now." A voice from the other side of the console replies "Affirmative". "Is that K-9?" says 11. "Yes, and he must have blown a fuse, as he was saying something about a talking cat-unicorn, cuckoos and a crazy land in the clouds." says 10. 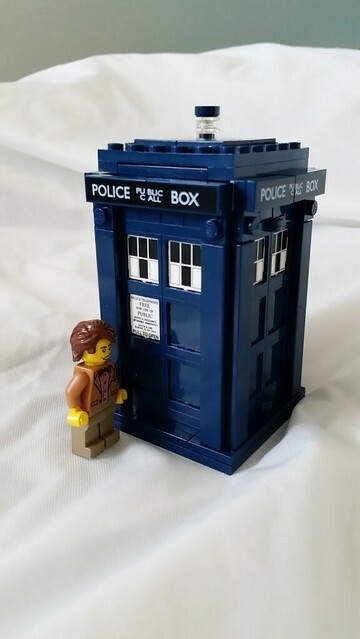 "The TARDIS has been located!" says a Dalek. 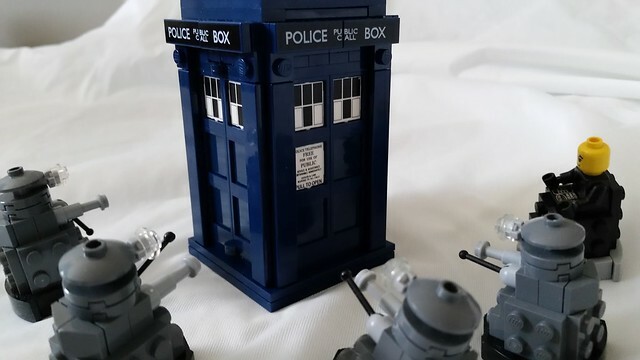 "Good, begin transport to Skaro at once!" Davros said, "and based on these sensor readings, we have two time lords to EXTERMINATE!" Neat MOD! The Doctors look perfect! 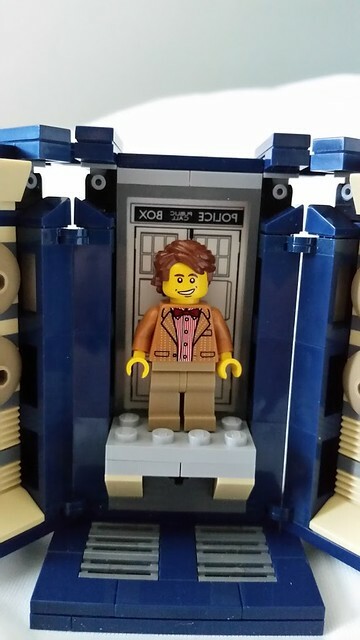 Oh, perfect interpretation of David Tennant! Love what you've done! Thanks. 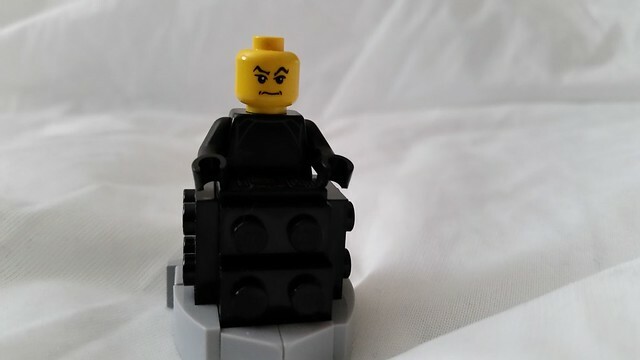 I've also got a 13th Doctor figure, but I need to find a good yellow head with a scowl and big eyebrows. Right now i'm using the one from the EXO-suit, and it doesn't look that good. Thank you! It really did turn out nice, and I'm glad people like it.